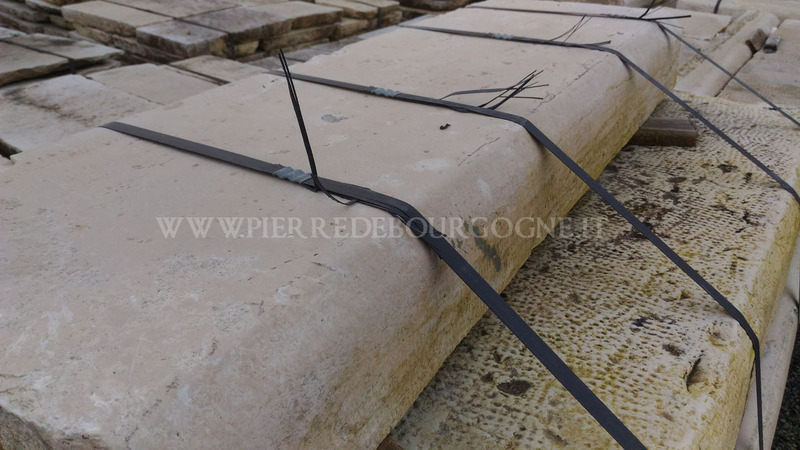 Antique reclaimed limestone kerbstones, curbs, curbing, kerbs, featuring beige and warmer colour blends. The hidden “inside” has been cut back to facilitate easier installation and reduce shipping weight. Metric dimensions approx: section 12cm x 35cm x mixed lengths 80cm to 150cm and over.